Ice breaker games have been used in one form or another for centuries. The common ice breaker has been an effective way of bringing people together and embracing a group of people while creating an atmosphere that relaxes and calms the individual entering the group. Why Do Ice Breaker Games Work? People often find group activities, meetings and discussions quite daunting when they are unaware of what will be involved and the type of people they will be meeting. 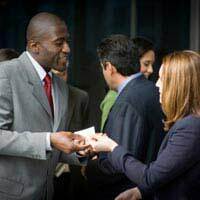 The ice breaker is usually thought about and organised prior to the group meeting or activity and will be applied effectively to react to the type of people and the situation. Many ice breaker games are simply used to create a relaxed and friendly atmosphere, so individuals can introduce themselves and feel comfortable within the group. Ice breaker games can be defined by how they help a group of people connect and comfortably unite as a team, whether it's to complete a task, work as a team or simply help focus on a topic, subject or activity. Ice breaker games can be particularly effective for teachers or lecturers holding their first few classes, lessons or lectures. A group of students, whether children or adults, can find entering education for the first time or re-attending education an incredibly unnerving experience, which brings on extreme anxiety for some. Ice breaker games have an excellent way of reversing these feelings and improving the individuals experience. The ice breaker game also effects people in the work place and can be an extremely efficient way to unite a workforce and encourage enjoyment through a task or activity. Much like educational situations the work place can bring on anxiety. However, ice breaker games are usually used to improve the motivation and encourage a group of employees to complete a task or gain some team training. Employees benefit greatly from ice breaker games as they help focus minds and encourage teamwork, which is why the ice breaker game is so effective and is so commonly used throughout organisations and businesses around the world. When a group of individuals are brought together for specific reasons the ice breaker game can be a handy exercise to improve the dynamics of the groups interaction. The ice breaker game can be applied to most situations and will effectively produce results if applied in the correct way. The ice breaker game is only effective when correctly applied to the situation. The outcome must be understood before applying an ice breaker game otherwise it could be a complete waste of time. Once the outcome has been identified the ice breaker game can be matched and effectively applied. Ice breaker games can also be used at any stage of a groups development. Although ice breaker games are commonly used for a group meeting for the first time, however, it can be applied at any time to improve the groups interaction an development.